Learn to Drive with ADS! Amin Driving School (ADS) conveniently operates out of Jersey City, New Jersey, and offers experienced and affordable driver training and education. Our mission is to serve our customers with the extensive knowledge and expertise we have gained in our industry, while continually offering them the finest in driving education. With over 45 years of combined experience, our driving instructors are well equipped and specifically trained to prepare new and inexperienced drivers for the Northern New Jersey roads. At ADS, we believe learning to drive safely and confidently are the best ways to improve your life. 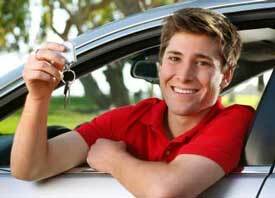 Learning to drive with us means you will be given all of the tools necessary to not only gain and master the fundamentals of driving, but also succeed in passing your NJ road test. Our goal is to create more safe drivers throughout New Jersey, and to do so with personalized service. This is a goal and responsibility we take very seriously. BILINGUAL DRIVING LESSONS Amin Driving School (ADS) also offers bilingual driving lessons, helping the student to feel secure while receiving a comprehensive lesson in their own language.